Soooooooo The Ship Beyond Time comes out in less than two months and I haven’t done anything to promote it. No, my lack of promotion has been due in large part to a strong desire for a real life time machine (dial set for November 7th 2016) and to an extremely crunched schedule consisting of writing my own fantastic next book and reading the fabulous books of others. But now I’ve wasted two paragraphs explaining myself and the clock is really ticking, so without further ado, let me announce my preorder incentive. I’m not going to be subtle–I want your preorders! Preorders are the best way to ensure a book and an author gets love and attention from publishers and press, and we all want is love and attention, right? Or is that only a holdover from my theatre days? ANYWAY. To encourage those preorders, I’m offering an incentive in the form of a beautiful cloisonne pin shaped like the Temptation. I have a limited amount of these pins, so if you’re on the fence about preordering but you really really like collecting rare swag*, this might just sway you! So go on, preorder**! Then enter your info here. *Yes, for those who asked, I DID look into cloning Kashmir, but the Cloning Nerds have a friendly rivalry with us Time Travel Nerds and there are a lot more of them than us–at least, intermittently, between the moments that we fire up the time machine to go back to stop Casey from pressing the clone button FOR THE MILLIONTH TIME. 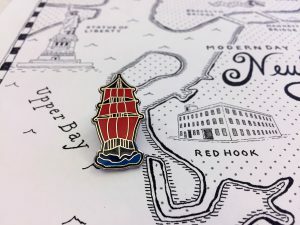 Due to overwhelming interest, as of January 11th, we have run out of the special maps I had printed for preorder swag. Thank you so much for making this so fun! Tada! The UK cover for THE GIRL FROM EVERYWHERE! When I first saw it, I was swept away by the richness of the colors and the tropical-adventure feel. 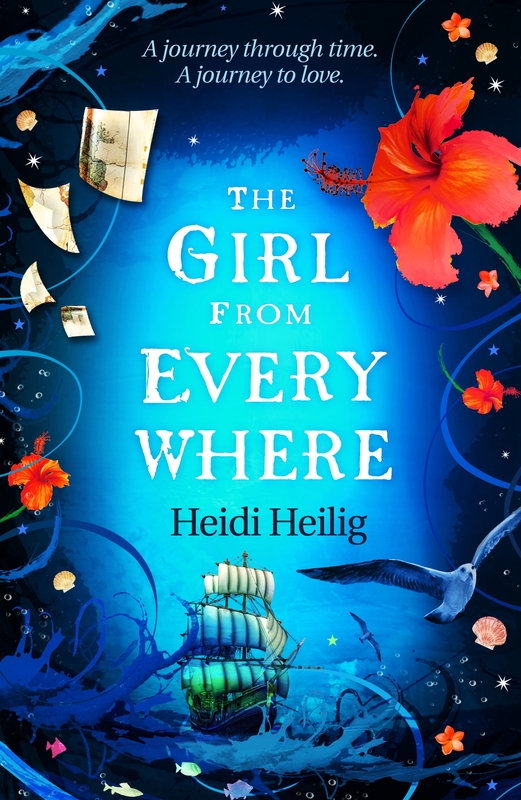 I love how this cover perfectly captures an entirely different (but just as important) aspect of the story–namely, finding home in a place and time you’ve never visited, but somehow belong. I hope you enjoy it as much as I do! Hey! So! 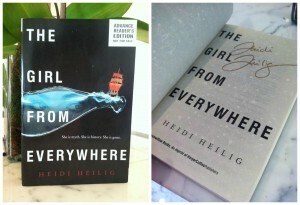 I have one last ARC of THE GIRL FROM EVERYWHERE, and I defaced it with my signature in bronze sharpie. Maybe someone wants it? This could be yours! Sorry I wrote in it. The post title (and the gorgeous new look) really says it all, doesn’t it? Please sign up, it’s going to be awesome! We’re dreaming up a fun giveaway surrounding it–more news on that soon. 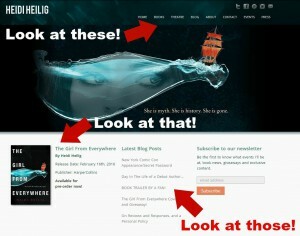 In the meantime, click around and enjoy the new space! I know I am. My first official book-related appearance will be at New York Comic Con on Saturday October 10th! I’ll be on an Epic Reads Book Club panel at 12:15 with Actual Real Life Authors Jodi Meadows (Mirror King & My Lady Jane), Sona Charaipotra and Dhonielle Clayton (Tiny Pretty Things), Danielle Paige (Yellow Brick War), and Dan Wells (Bluescreen). And give me the password–“navigation“–for the best swag, while supplies last!